I believe Italian food was already played a big role in our life. 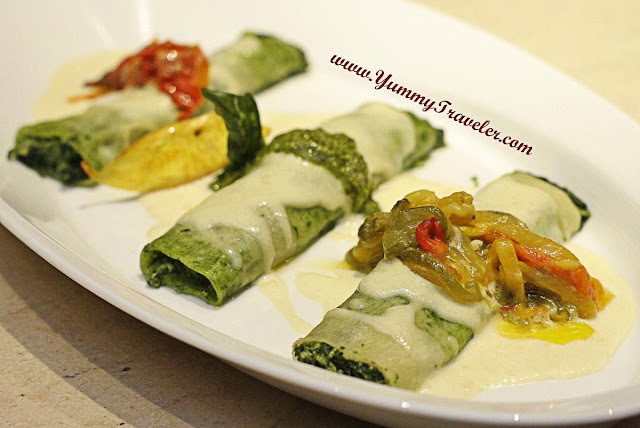 Presented fancy or even rustic-homemade style, Italian food always made us mouth-watering.The ooey-gooey melted cheese, the creamy sauce, the vibrant color of tomatoes, yum! Italian dinner couldn't be perfect without their bread appetizer, agree ? 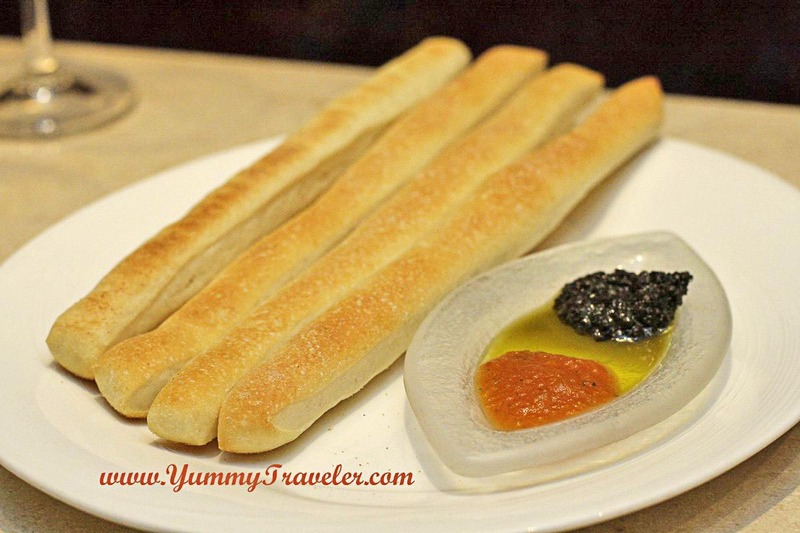 A freshly made Grissini dip-in olive oil or pesto, perfect starter! For appetizer we've also been served with Crudo of Beef Tenderloin - IDR 180.000. 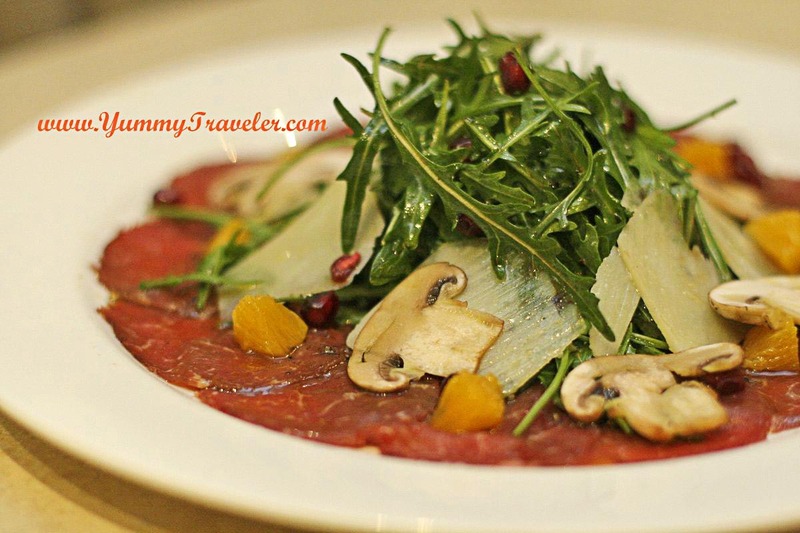 Crudo means 'raw' in italian, this salad served with arugula, mushroom and parmigiano cheese. The beef taste very tender even it's raw. Taste a bit sweet with bits of orange and pomegranate on top ,but balance with the bitterness of arugula and savory-buttery taste of parmigiano. A refreshing starter! Still from appetizer, Porcini Mushroom Cappuccino - IDR 110.000. 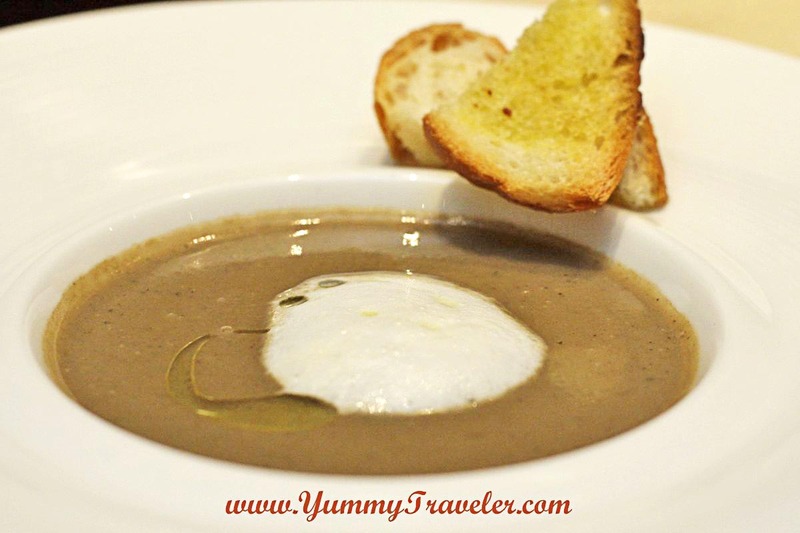 Love the earthy flavor of porcini mushroom, and also the dash of truffle oil on top, really delighting your senses! The first pizza that we've tasted is, Piccante Pizza - IDR 180.000. 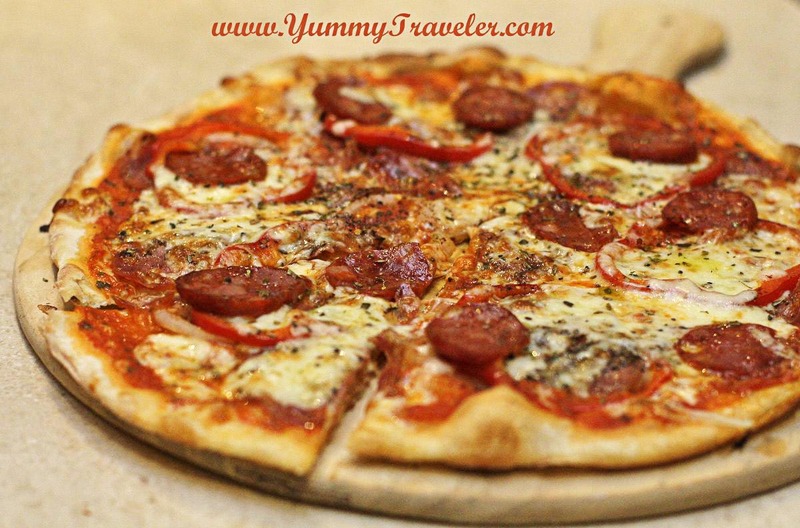 A classic pizza with Salami, Italian Sausage, Tomatoes, Mozzarella and Chili Flakes! The pizza dough was very enjoyable. 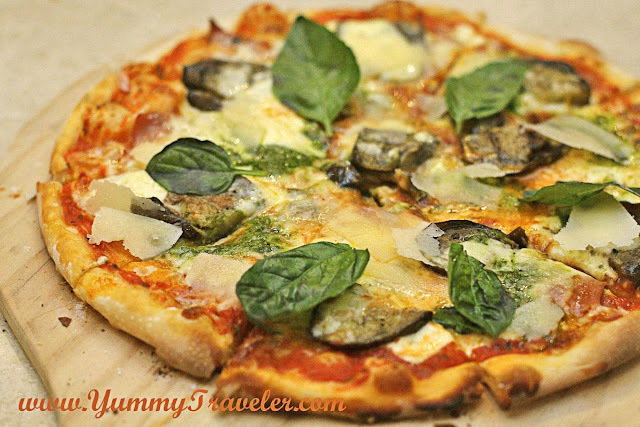 Like a classic Italian do their pizza, it's super thin and crunchy ! I bet you already familiar with this kind of toppings, but the chili flakes makes this pizza a bit spicy! 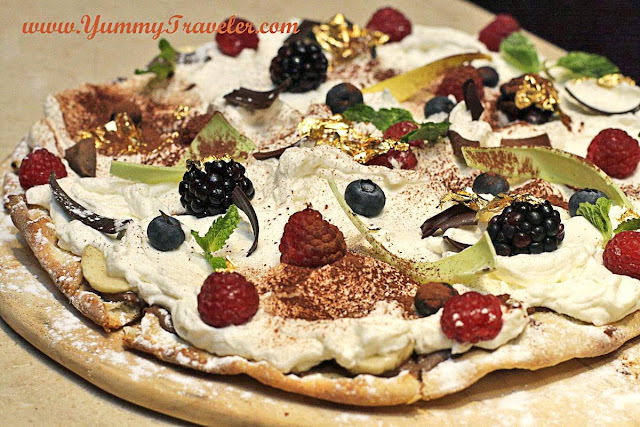 Next one is my fave, Mascarpone Pizza - IDR 180.000. A pizza topped with grilled eggplants, ham, pesto, mascarpone, gorgonzola and pecorino cheese. I always love when different type of cheese mixed together! It really gives a nice complex creamy taste in your mouth. Heaven! Then, Estiva Pizza - IDR 170.000. 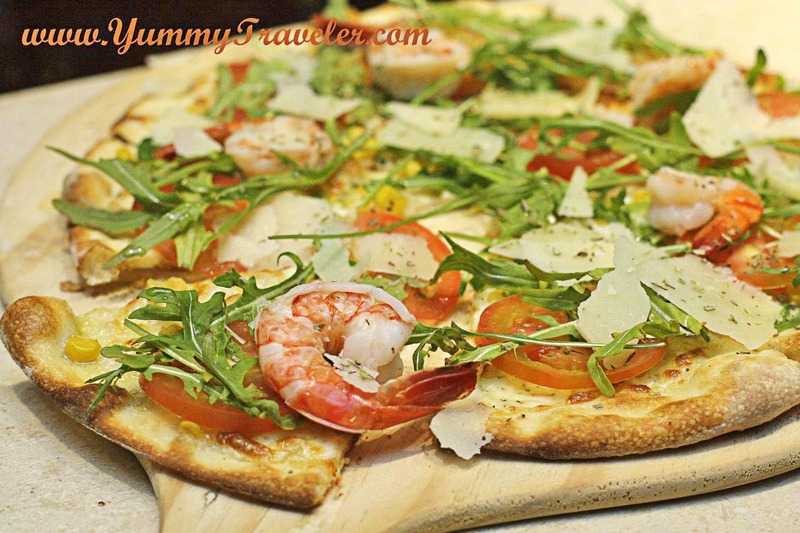 This one topped with prawns, corn, tomatoes, arugula and parmesan cheese. Very light and refreshing ! Then from the pasta section, we've also been served with Potato and Ricotta Gnocchi - IDR 180.000. Oh my... This is THE BEST Gnocchi I ever had. 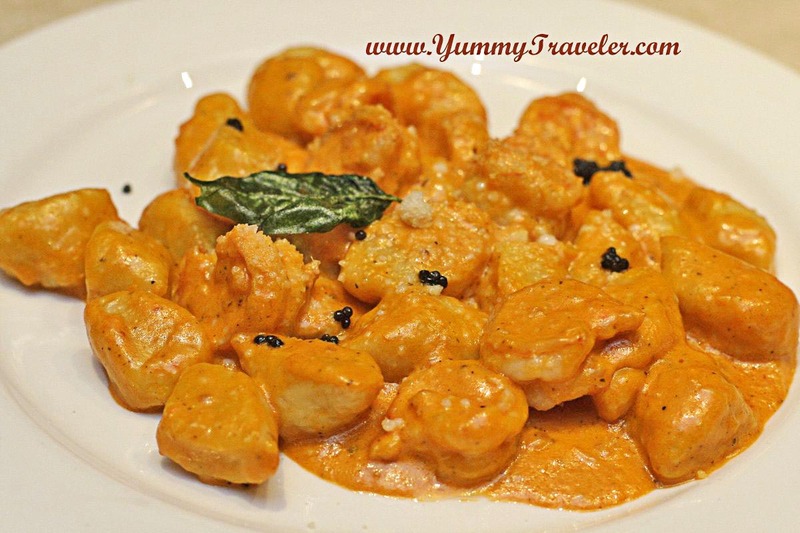 The gnocchi that I've had usually too chewy or too doughy, but not this one! It's very soft and melts in your mouth! The cream sauce also very yum! Bit sweet, because added Cognac in it. Creamy-dreamy heaven! Then, Black Ink Tonnarelli Aglio Olio e Peperoncino, IDR 140.000. 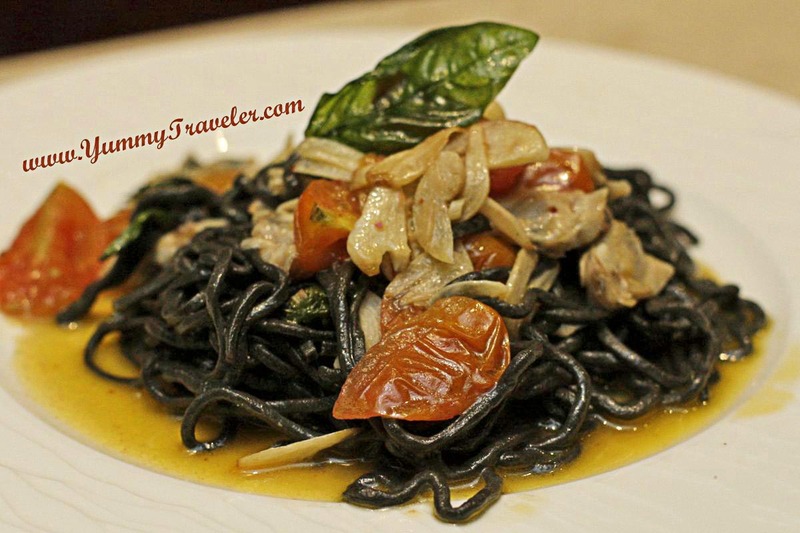 The black pasta made from squid ink, topped with clams, basil and cherry tomatoes confit. The pasta cooked al-dente and tasted fresh! Porcini Mushroom Risotto - IDR 110.000. It's hard to found good risotto in Jakarta isn't it? Apparently Rosso's could satisfy you ! 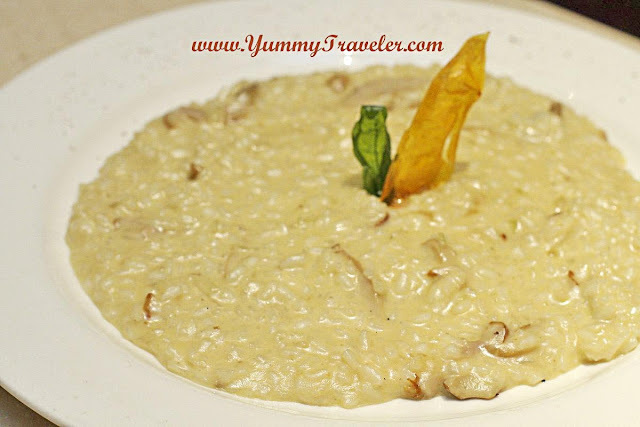 Cooked perfectly with the perfect creaminess of risotto, and the earthy mushroom taste, umami! 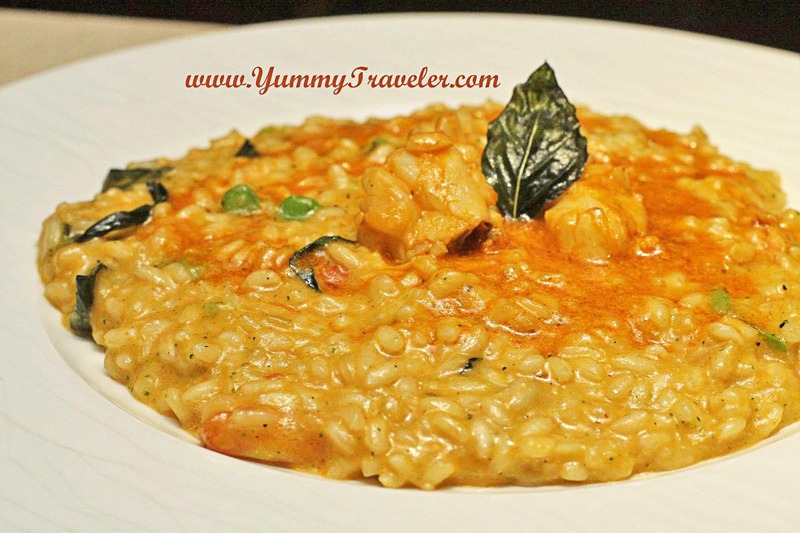 Lobster Risotto - IDR 250.000. Made with thinly sliced of bottarga ( cured fish roe ), broccolini and lobster bisque. This is very scrumptious too! Like bringing sea to your plate! Trilogy of Ravioli, Tortellini, and Capelleti - IDR 160.000. 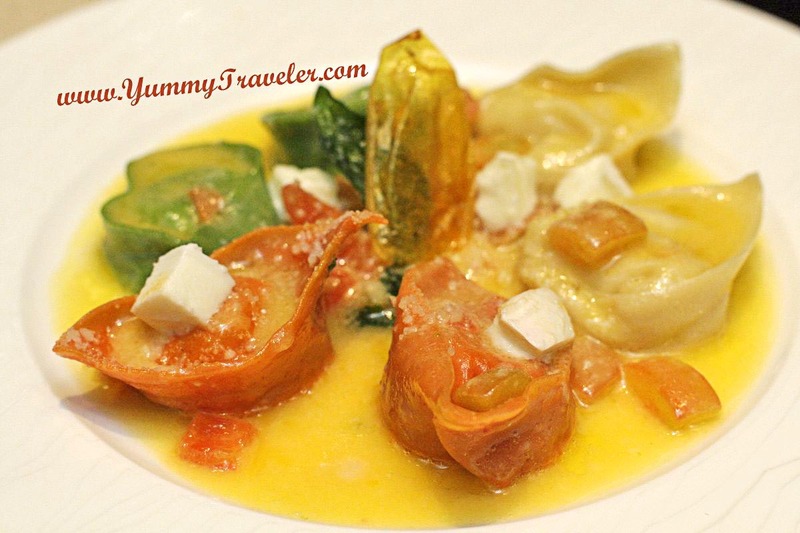 Can you tell the difference between Ravioli, Tortellini, Capelleti ?? :p Well I can say they shaped the pasta beautifully ! :D Every color has different flavors of meats, cheese, veggies. Perfectly cooked ! 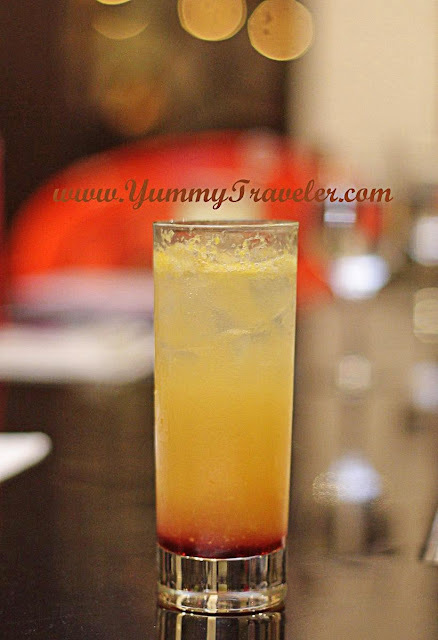 Some of the cocktail and mocktail was Rosso Kir - IDR 150.000. 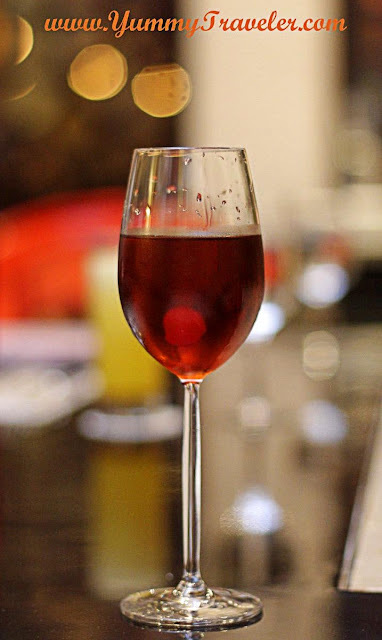 Made from Creme de Cassis, Chardonnay and Maraschino Cherry. Sweet! New Orleans - IDR 80.0000. Made with Pineapple Juice, Lemon Juice, Grenadine Syrup, and Ginger Ale.